26 years after the first HIV+ case in Tamil Nadu, patients continue to be shunned and discriminated against. Shobha Warrier brings you the plight of such women from across the state. It was in Tamil Nadu in 1986 that the first HIV+ case was diagnosed in India. With shock, disbelief, fear and apprehension people of the country, even those in the healthcare sector reacted to the revelation. Those afflicted with the virus were shunned and isolated. In 1993, Dr Manorama, who worked as an assistant professor in paediatric gastro-enterology at the Institute of Child Health in Chennai, brought home two children. Krishnaveni and Ravi were abandoned by an orphanage after they tested positive for HIV. Even the nurses at the hospital refused to go anywhere near the children. Shocked by the apathy, Dr Manorama shifted them to her nursing home but what happened after that was even more shocking. Other patients refused to visit her hospital fearing they would get the HIV virus. It was the reaction of the society and hospitals that made her start CHES Ashram for AIDS orphans. A quarter of a century has passed. Today, there are 2,03,449 HIV+ people registered at the government ART (Anti Retoviral Therapy) centres in Tamil Nadu. Thousands of campaigns by various agencies and the government are taking place regularly. Is there any change in the way society treats the HIV+ people? Let us forget the public and look at those in the healthcare sector. Are these patients getting proper care and attention when they need treatment? The sufferers are mostly women, says the Positive Women Network. 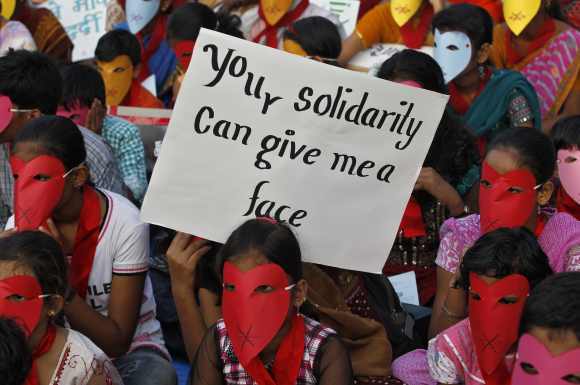 That is why 30 women representatives from various districts in Tamil Nadu assembled in Chennai under the guidance of Centre for Advocacy and Research and PWN to make a representation to the state minister for health. All of them are unanimous on one point -- that proper healthcare is still a far off dream for the HIV+ woman. An HIV+ woman in Erode went to a government hospital when she went into labour but none of the doctors or paramedical staff in the gynaecology department were ready to deliver the baby. Finally, the baby was delivered unattended and it died. If you think such neglect and ignorance occur only in villages or small towns, you are wrong. Last year in Chennai, a government hospital refused to attend to a woman in an advanced stage of labour. She was not even put on a stretcher; instead of care, what she got was verbal abuses from the staff. The child died inside the womb and the condition of the woman also became critical. 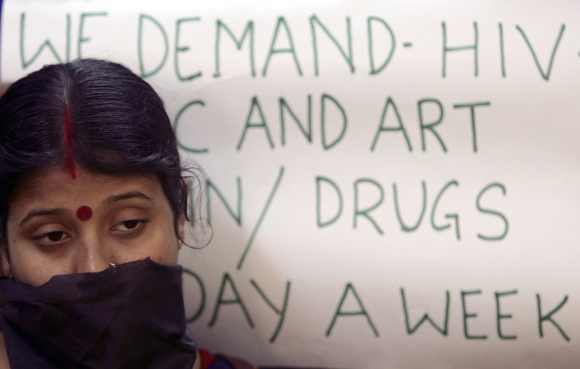 A young woman in Delhi who had had heavy bleeding for a couple of months was shunted from one government hospital to another. The reason: the gynaecology departments in government hospitals didn't want to treat an HIV+ woman. Take for example a place like Namakkal, where 75 per cent of the HIV+ women are widows and the problems they face are manifold. Kausalya is the president of PWN in India today but she had to battle many hurdles to get where she is. In 1999, within a month after she tied the knot, her husband was diagnosed with the HIV virus and after he passed away, Kausalya had to fight the virus, the society and other obstacles. When asked whether there are any changes in the way HIV+ people are treated in government hospitals, she admitted that there are a lot of positive changes. There was a time when HIV+ people were not even allowed inside government hospitals. There was a time when ART was not available to patients. "If you look at it from that situation, there is improvement. Even in the attitude of society, there is a positive difference," she says. As an HIV+ person on ART, does she feel there is still discrimination in the health sector? "I will say it's still there. Yes, its not there in the HIV department but if you have to go any other department with any other problem, you are treated differently." Is that enough? "No, all our studies say that there is discrimination towards pregnant women who are HIV+. And it is not confined to Tamil Nadu," Kausalya says. "We are more prone to breast and cervical cancer and WHO guidelines say that we have to test every year. But there is no place for us to do the test and by the time HIV+ women go to a cancer hospital, they would be in the third stage of cancer. And then, when we go to a cancer hospital, we are asked to go to the HIV department. Why is it so? When there are radiotherapy centres in government hospitals, why is it that HIV+ women are denied treatment there? In the last one year, five HIV+ women died of cancer for want of treatment," she adds. "We are like other women. We also face all the problems other women face but we are denied treatment. Is this fair," she asks. Nagammal from a village near Madurai had to struggle and fight all odds when she was detected with the HIV virus in 2003. When her husband and she were diagnosed as HIV+, even her mother-in-law isolated them. They were not allowed to touch anything in the house. They were given separate plates to eat; their clothes were washed separately in one bucket and given a separate bar of soap to bathe. After the death of her husband, those in her village ostracised her and her daughter though she was HIV negative. Other children were forbidden from playing with her. Nagammal had to visit Chennai every month for treatment. It was only after a couple of years that she learnt that she could avail treatment at the government hospital in Erode. "Okay, I get ART from the ART centre. If we go to an eye specialist or a dentist, they send us back after giving us some medicine. I had been to a dentist and he refused to let me sit on the chair itself. They are scared that if they touch us with their instrument, it will spread the virus," Nagammal angrily recounts her experience. As a volunteer working at the ART centre, she had taken a sick woman to the government hospital and when the staff came to know that she was HIV+, "the nurse asked her to move back a little. All the facilities are available in government hospitals but most of the doctors and nurses do not want to treat us," she says. Susheela works as an ART counsellor at Erode. She was diagnosed as HIV+ in 1996. After three years of "fear, isolation, insults and abuses," she gathered courage to fight all odds. Though she had failed in her Std X exams, she made sure both her children studied and today, her son and daughter are engineering students. Even today, her late husband's family has not accepted her or her children. "We haven't got any property from them. It's from their son that I got the infection but they have shunned me. Today, if we have food to eat and my children are studying, it's all because of my hard work." "I had brain TB, heavy bleeding and also a growth in my throat. No government hospital treated me. I paid money and got myself treated in a private hospital. This has happened to me despite the fact at the ART centre in a government hospital." 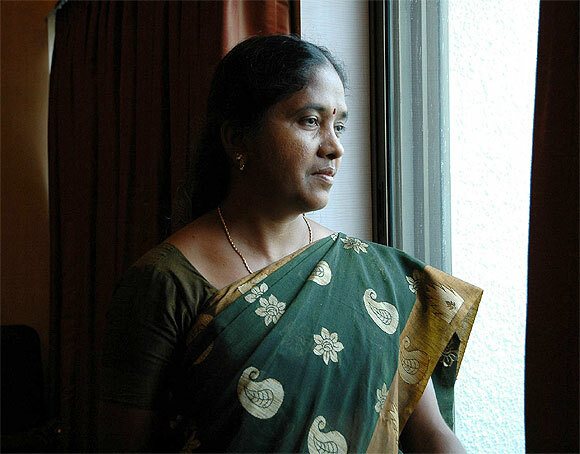 Padmavathy moved to Chennai from Cuddalore after her husband's death and became the president of the Tamil Nadu unit of PWN. "There is 100 per cent discrimination in all the government hospitals even though they deny it. The staff asks us to move aside and insult us even today. That is why we say, dissemination of information has to be continuous. You cannot say all are well informed. Yes, those who work in the field know what HIV is, but there are many, many people in other departments who are ignorant. They are scared that they will get the virus if they touch us." All the women who had assembled from all various districts were unanimous in saying "There has to be a change in the attitude of healthcare workers. All the departments in all the government hospitals should be sensitised to deal with HIV+ patients. Not only the departments, the entire healthcare community should be aware of the way HIV+ people should be treated."